Schools in the United States have been practicing lockdown drills for the past six years, and the feeling of panic that comes with the announcement on the intercom has become a familiar feeling to many American students. Lewiston High School practiced the first lockdown drill of the year current school year Sept. 20. The protocol students follow in a lockdown is “lock, lights, out of sight.” Teachers› windows are covered so no one is able to look in. Doors are locked, lights are shut off. Students and teachers go to a protected area in the room where they are not seen. “When you hear the announcement, a little bit of panic sets in, [and] I always get anxious about the thought of having a real lockdown,” said Chloe Kernan, a junior at LHS. The panic of hearing that announcement in the middle of class has become familiar for some students. But having these drills is a necessary part of keeping safe at school. 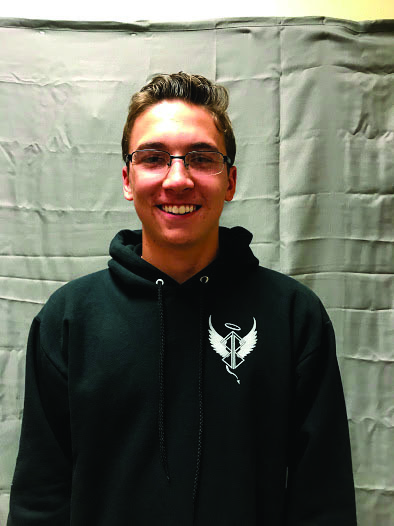 “When we’re in the lockdown drills, I try and come up with an emergency plan like, if this were real, what would I do to stay safe?” said Ty Johannesen, junior. , experience for everyone, even if they are just practice.